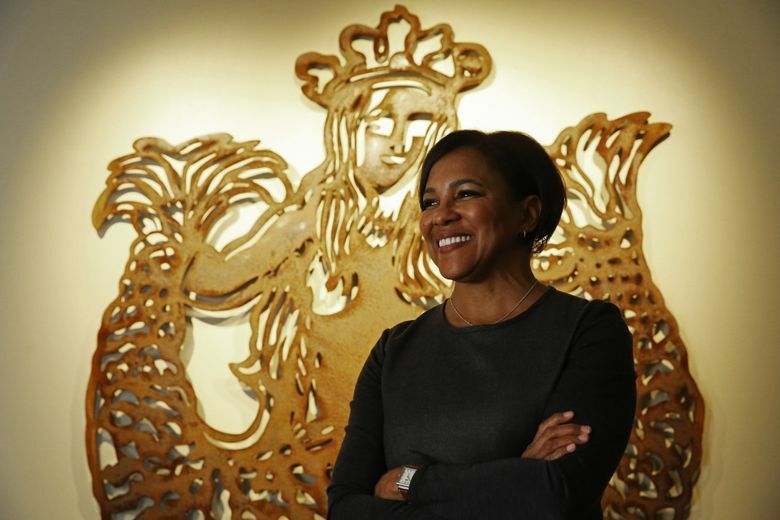 Rosalind Brewer, currently a top Starbucks executive and board member, brings the number of women on Amazon's board to four. She is the second African American woman on the company's board. Amazon tapped former Walmart and current Starbucks executive Rosalind G. Brewer for its board of directors. Brewer, 56, became Starbucks’ chief operating officer and Americas group president in October 2017 after joining the Seattle coffee giant’s board in March of that year. She previously spent 11 years at Walmart, a top Amazon competitor, rising to chief executive of its membership warehouse business, Sam’s Club. Brewer was named one of the most powerful women in business last year by Fortune magazine. Brewer, who was appointed to Amazon’s leadership development and compensation committee, was elected to fill the board seat vacated by John Seely Brown, who did not stand for reelection last year. Amazon’s entire board stands for reelection at its May annual meeting. Brewer brings the number of women on Amazon’s 10-person board to four, joining Jamie Gorelick, Judith McGrath and Patricia Stonesifer. Corporate boards remain male-dominated. Only one third of companies in the S&P 500 had three or more women on their boards in 2018, according to research compiled by Catalyst, a nonprofit advocating for women in leadership. Women of color represented 6.2 percent of S&P 500 directors. Brewer is the second African-American woman selected for Amazon’s board. Myrtle Potter, a pharmaceuticals executive, was on the company’s board from 2004 to 2009. Amazon in 2018 pledged to consider more diverse candidates for its board after pressure from shareholders and the Congressional Black Caucus.